Dr. Faith Xi was born in China, but regards Australia as her home after migrating here many years ago. She completed her Dentistry degree at The University of Sydney. With her past working experience both in the hospital and community, she enjoys treating patients from diverse backgrounds, especially the young and young-at-heart. She now resides in Mount Waverley and is loving being a dentist in Mount Waverley and serving the local community. She provides quality dental care to the community in Mount Waverley, Glen Waverley and surrounding suburbs including Burwood East. Dr. Faith is passionate about the world of dentistry with a special interest in preventive, restorative, cosmetic and paediatric dentistry. 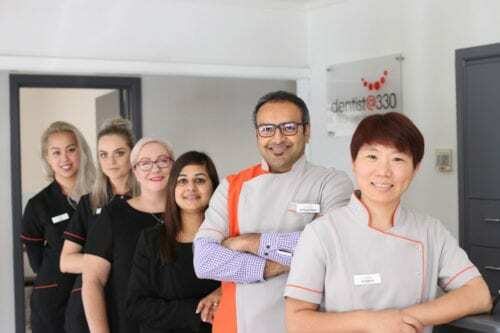 She is a member of the Australia Dental Association and seeks to keep her skills up-to-date through various professional education and development courses to ensure that she can deliver the highest quality of care to her patients. Apart from English, Dr Xi can speak Chinese, fluent in Mandarin and conversational Cantonese. She has been providing high quality dental care to the Chinese community in Mount Waverley and Glen Waverley. Dr. Faith is happily married with a young toddler daughter and 11 month son. Outside of dentistry, Dr. Faith loves spending her spare time with her family.